Never heard of the steam cleaning extraction method of carpet cleaning process ? Companies like TLC Carpet Care in Castle Rock Co have implemented the more popular process of “steam cleaning” to describe this method instead. To be honest, it doesn’t matter what you call it. What you need to know as a homeowner is that steam cleaning extraction is by far the best carpet cleaning process available in Castle Rock Co. If your uncertain about what carpet cleaning process to use, just look to the carpet industry as a whole to what most cleaner care using. Look as to which method is the best for your carpets and upholstery. 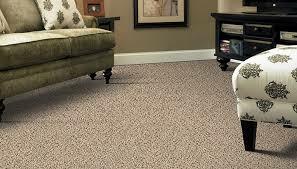 There is a reason that Shaw Industries the largest carpet manufacturer in the world recommends (and more increasingly requires for warranty reasons) that you uses steam cleaning extraction to maintain the cleaning of your home carpets. And there is also a reason that almost every major carpet cleaning company, from TLC Carpet Care on down the line, chooses steam cleaning extraction as their process of choice. The cleaning process “steam cleaning” is really how to describing how hot water extraction works. In truth, there is little or no steam involved as a primary cleaning process unfolds. Instead ,truck-mounts use hot water steam cleaning and cleaning chemicals are propelled into your carpet pile at high pressure, where they loosen up dirt, soil, and grime. In almost the same motion a high-powered blower extracts the hot water, and all the dirt and stains in your carpet along with it. As you look for a carpet cleaning steam cleaner to clean your carpet, keep in mind that there are a variety of truckmounts that carpet cleaning companies use. Whats available to you as a homeowner to choose from. Portable carpet cleaners machines are popular and can be rented at most grocery stores. They do a ineffective job of cleaning your carpets, and are not even close to hiring a professional. They aren’t as efficient as more powerful truck mounted units. TLC Carpet Care uses ProChem truck mount systems and they are in every van. Truck-mounted carpet cleaning machines push the steam and cleaning agents into your carpet at a much higher pressure at 500 PSI, meaning it cleans deeper than other systems. And their extraction systems for removing the water and dirt are equally superior, doing a better job of removing both moisture and cleaning chemicals from your carpet fibers. All this adds up to cleaner carpets and less frequent cleanings when you’re all said and done. When your ready to hire a carpet cleaning company Call TLC carpet Care in Castle Rock Co don't hire the cheapest cleaner you can find, this is where most homeowners make their biggest mistake when it comes to hiring a carpet cleaning company. It’s also common practice to wait several years until your carpet barely resembles the original carpet before you call a carpet cleaner and by the stains and oxidation have settled in and its too late. If you want to maintain clean carpets, and extend the life of your carpets, you really ought to hire a professional carpet cleaner on an annual basis. The daily activity your carpet takes includes tracked in dirt from outside, spots, spills and stains, pet stains, and even the presence of pest infestations such as bed bugs and mites as well as pollens. The more often you clean with steam cleaning extraction, the less you’ll have to worry about the presence of all these things as you watch your family spend time on your well maintained, and nice and clean carpet.